With a stay at Camping Internacional Palamos in Palamos, you'll be within a 10-minute walk of La Fosca Beach and Sa Tamardia Beach. The front desk is staffed during limited hours. Free self parking is available onsite. Located in Sallent de Gallego, this apartment is within a 15-minute drive of Tena Valley and Panticosa Gondola. With a stay at Art7 The Apartment in San Sebastian (San Sebastian Centro), you'll be convenient to Anoeta Stadium and Concha Beach. Self parking (subject to charges) is available onsite. With a stay at Pensión Iturriza in San Sebastian (Old Town), you'll be steps from Monte Urgull and 6 minutes by foot from Concha Beach. 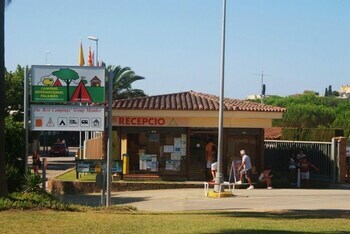 Located in Arenys de Mar, La Premsa by Pillow is by the sea, within a 10-minute drive of Caldetes Beach and Montanya Park. The front desk is staffed during limited hours.